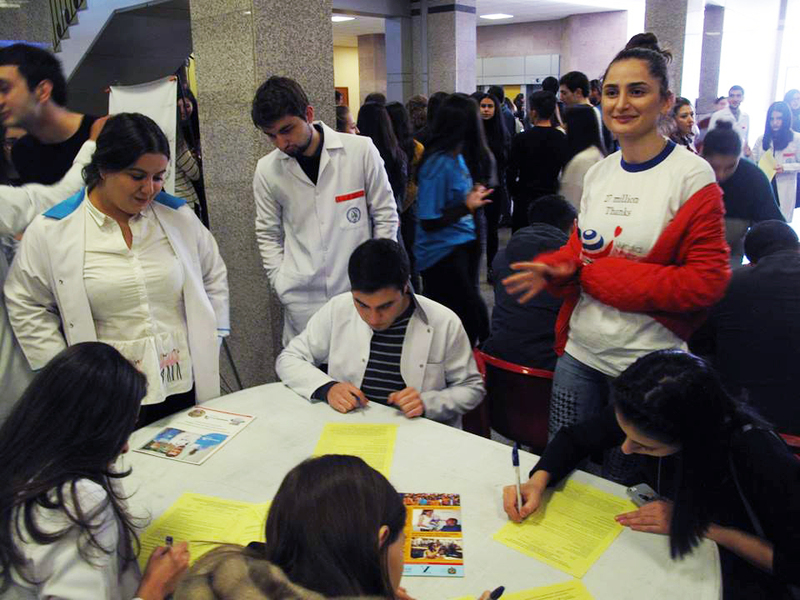 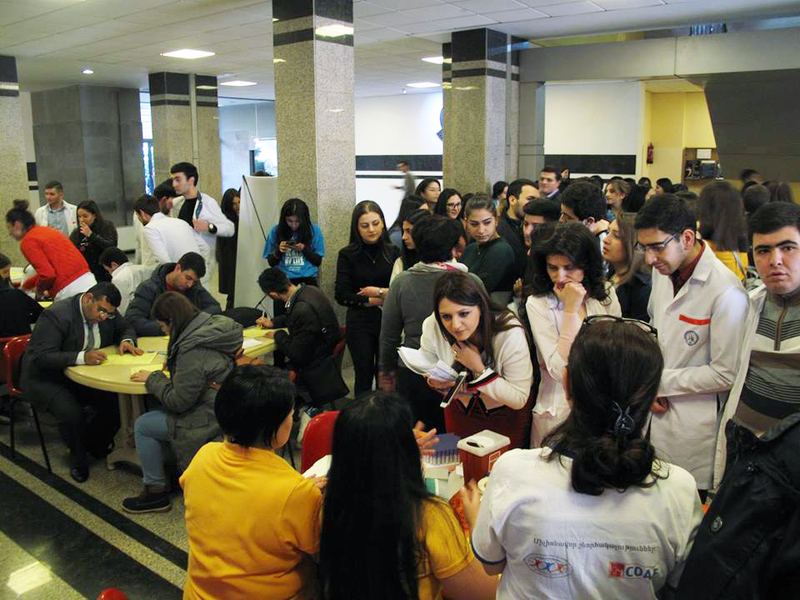 Los Angeles, November 27, 2018 – On November 19 and 20, the Armenian Bone Marrow Donor Registry (ABMDR) held major outreach and recruitment events at Yerevan State Medical University (YSMU), with the dual purpose of raising awareness of its life-saving mission and recruiting young donors. 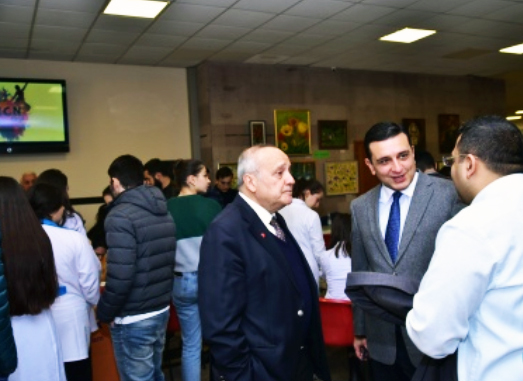 Hundreds of supporters, comprising medical students and members of the university’s faculty and administration, including YSMU Rector and former Minister of Health of Armenia Dr. Armen Muradyan, attended the events. 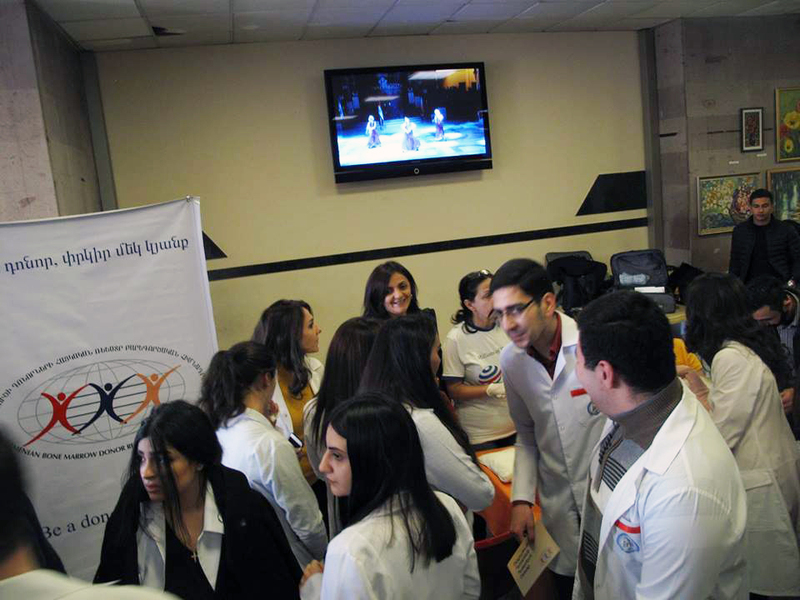 Among the highlights of the outreach effort was a comprehensive presentation on the mission and worldwide activities of ABMDR, delivered by Dr. Mihran Nazaretyan, the organization’s Medical Director. 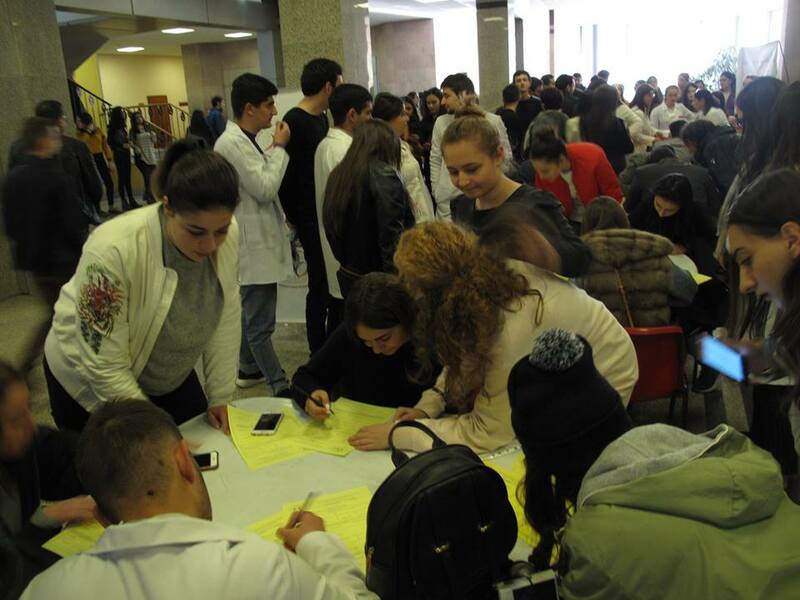 By the conclusion of the outreach and recruitment events, on November 20, a total of 300 students, teachers, and members of the university’s administrative staff had joined the ranks of ABMDR as potential bone marrow donors. 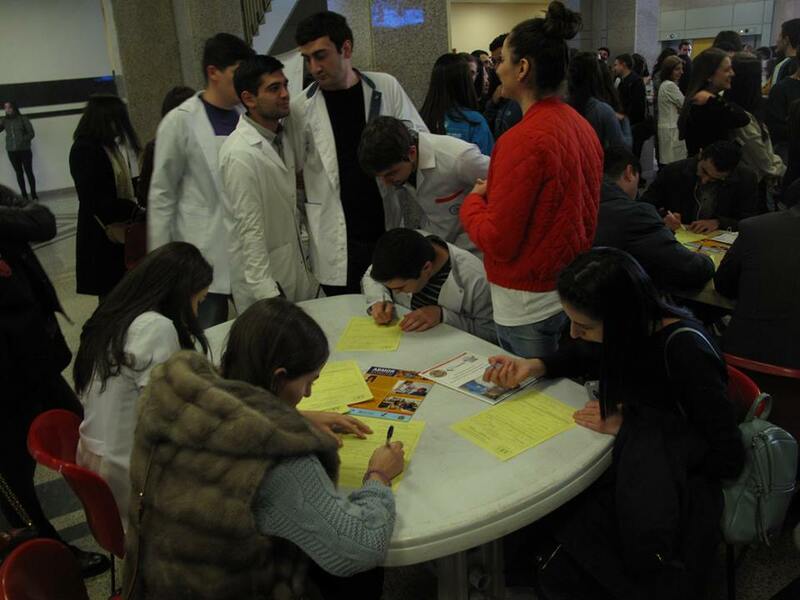 Registering the new recruits was a team from ABMDR’s Stem Cell Harvesting Center in Yerevan. 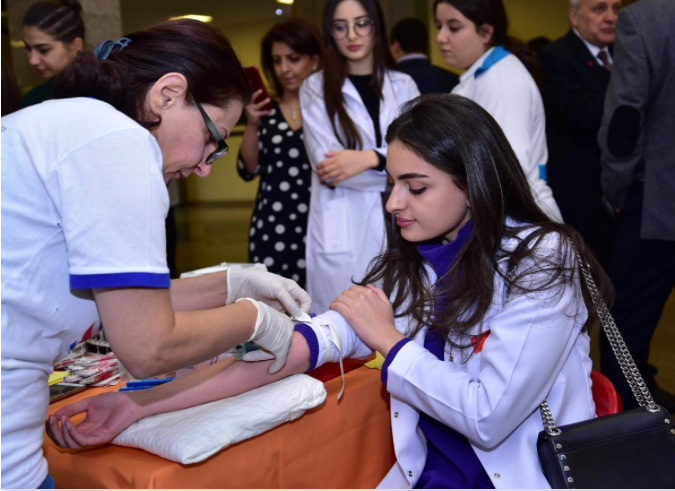 Members of the team answered questions and administered the simple, non-invasive tests involved in the recruitment process.